This is not a proper book review, it's an ode to a wonderful handbook about sewing Stuffed Animals! 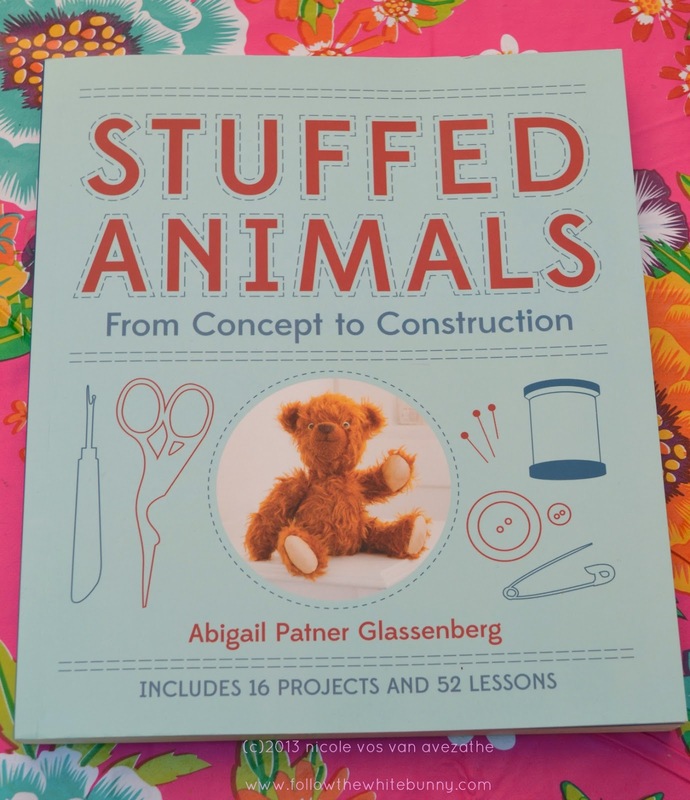 Although I don't sew stuffed animals on a regular basis, as soon as I heard about Abby Glassenberg's book Stuffed Animals From Concept to Construction I (pre)ordered it immediately and I'm glad I did! 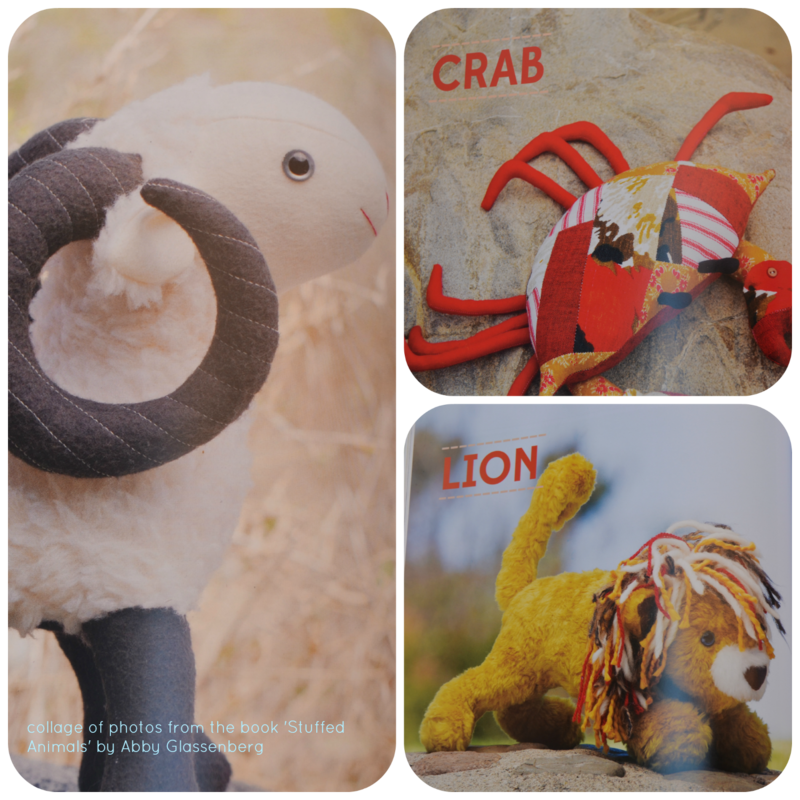 This is a hugely informative hand book, a reference guide that will teach you everything you need to know to make the adorable projects in the book as well as tips on how to design your own stuffed animal (if you wish to). From stuffed animals I made from other books and patterns in the past (including a rather wonky turtle years ago and a sweet hedgehog more recently that I will show on the blog soon) I had already noticed that sewing soft toys requires a whole different set of skills than for example sewing quilts or clothing. Luckily for us, Abby covers all the specifics of sewing and designing stuffed animals in her book. The projects come with several lessons each to teach you different things: from sewing gussets to making cupped ears, to putting a 'growler' or music box in your stuffed creature (have a peek here to see all the projects and lessons!) The projects range in difficulty from a simple fish to a classic Teddy Bear which involves using more advanced techniques. Another thing I really like about all the projects is that they are appealing to children. Which may sound obvious but sometimes it's the little things that make a stuffed animal a success (or not): the zipper-mouth of the dinosaur, the lion's lovely manes, the tiny baby Kangaroo in it's mothers pouch etc. The patterns in the back of the book are all, save one, full sized and can be downloaded from the publishers site as well (yay!). 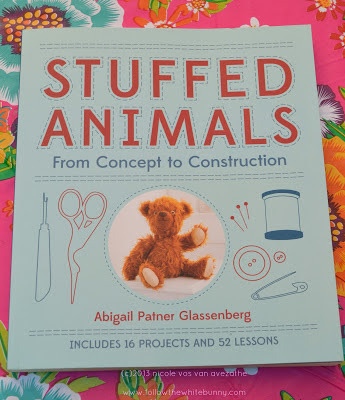 This book is a great manual to add to your crafty library if you are interested in developing your own stuffed animal designs but also if you want to impress your family and (young) friends with some cleverly sewn stuffed animals with lots of character. Stuffed Animals. From Concept to Construction by Abby Glassenberg was published by Lark Crafts. p.s. I couldn't help but thinking while I was reading Abby's book that I would really love to see more 'in depth' quality craft books like these published on other subjects as well. 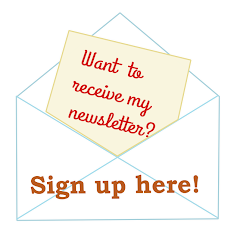 Not merely projects and a quick 'basics' chapter but teaching news skills and techniques in great detail! I haven't actually attempted to make a stuffed animal but its something I would love to sit down and do at some point especially since I have a little baby!. Your comment about having more in-depth craft books is something I completely agree with. I kinda feel that a lot of new craft books are aimed at a very beginners basics level and there is very little out there for anyone who has a bit of experience already. Maybe it will happen in the future since most folk can now pick up templates for quick projects on places like pinterest now and don't really need to purchase a book for it. I think there a may be a market for both. :) Years ago as a newbie to sewing and embroidery I learned lots from books with basics/simple projects that made sewing and embroidery accessible rather than 'scary'. But now years later with some sewing experience and a fair amount of embroidery experience under my belt, I feel like there is a lack of appealing and inspiring books that go beyond the basics and have lots of detailed info.